No matter how much we adore our companion animals, there’s no denying that they come with responsibilities. Keeping your dog’s coat clean not only helps to support skin health, a luxurious, odor-free coat can actually improve your quality of life, too. Not all of us are able to get to our professional groomer every time we really need to, so this episode of Pet Talk is all about techniques to wash your dog’s coat at home … in between regular groomer visits. With help from her beautiful, blond assistant, Alma, Dr. Sarah offers a quick overview of the basics of home bathing, to leave your dog’s coat lustrous, clean and smelling spectacular. Could that growth on my dog’s back be a mast cell tumor? Is that cough really kennel cough, or perhaps something even worse? My pet is drinking more water – what does that mean? 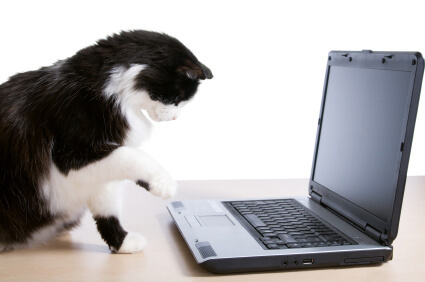 If you have ever gone online to try and diagnose what is wrong with your dog or cat, you have plenty of company. As the non-profit wing of Life’s Abundance, the Dr. Jane’s HealthyPetNet Foundation takes pride in the diligent and committed work of all of its grant recipients. Every month, we’re reminded that wherever caring people come together in the spirit of hope, and apply hard work, amazing things can be achieved. This month, it gives us great pleasure to bring you the story of Spotted Dog Dalmatian Rescue, which represents the pure spirit of small rescue ventures. In operation since 2011, the founders of Spotted Dog embody the drive to make a positive difference in the world. The non-profit is comprised of a group of volunteers, all of whom are committed to the mission of saving and improving the lives of hearing-impaired Dalmatians. By educating people about the consequences of negative stereotypes regarding deaf Dals, they’re hopeful they can make significant inroads in the acceptance of all dogs with disabilities. At Life’s Abundance, we are dedicated to the health of companion animals, especially when it comes to the safety of their food. Every serving is protected by strict quality control measures. Our foods are produced in small batches to ensure the freshness of the products delivered conveniently to your doorstep. We also maintain long-term relationships with our suppliers, who help us to ensure that only quality ingredients are used. Since we opened for business in 1999, we have always been committed to safety and this continues to be one of our primary objectives. Given recent competitor recalls, we think it's important to remind our consumers that every effort is made to preserve the well-being of their pet kids.